I find that there is still a lot of confusion and differing opinions about Inquiry in science. I think part of the problem is that we use the word Inquiry in several ways. Inquiry is a content- the stuff that we want students to be able to do- the skills of doing science. And the word Inquiry is also used when we talk about pedagogy- Inquiry Teaching.This seems to muddy the waters a bit. So whether your water is muddied or not- here are a couple of resources that have helped clarify my understanding of Inquiry. 1. This short pamphlet is available FREE from BSCS as a pdf- you have to fill out an order form HERE and they will make the download available- It is well worth the minimal effort and is great for use in a PLC or workshop with teachers. 2. 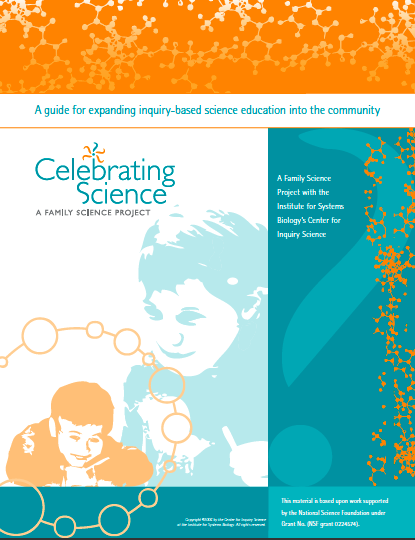 The Celebrating Science Guide from the wonderful people at the Center for Inquiry Science in Seattle, WA. This guide is free to download as a pdf HERE. I appreciate the clear definition of Inquiry based on looking at what students do and what teachers do in an inquiry-based classroom. This guide also compares and contrasts traditional science instruction to contemporary science instruction. Please check out the rest of the science resources at this site. 3. Of course Middle School and High School teachers should also check out Science as Inquiry in the Secondary Setting mentioned in a previous post.